Surly, voiced by Will Arnett, in The Nut Job. A sequel to The Nut Job will be crackin' into theaters in January 2016, reports the Hollywood Reporter. The film, which features voice-overs from Katherine Heigl, Will Arnett and Maya Rudolph, did better than expected at the box office, raking in $25.7 million in North America. Now, Open Road Films will make a follow-up film titled The Nut Job 2. It is unclear whether Heigl, Arnett and Rudolph will be returning for the sequel. 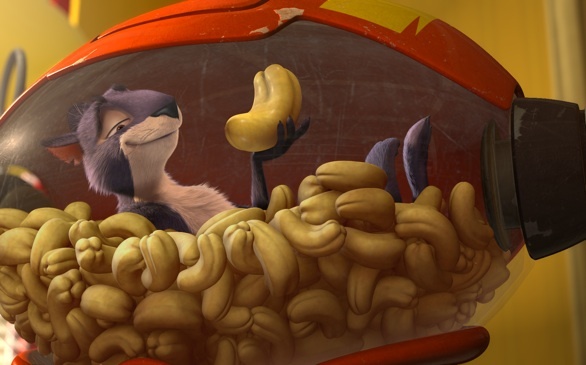 The Nut Job is about a mischievous squirrel who tries to pull off an outrageous nut store heist. Read our FEATURE with Katherine Heigl and Will Arnett.